Bring in the beauty of wrought iron finish to your walls with this beautifully designed wall clock from Purpledip. The dial is made to appear rustic & vintage for an old world charm. We are leading supplier and distributor of Metal Wall Clock. 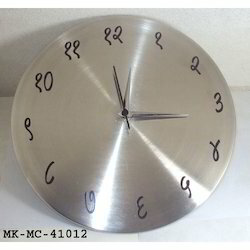 We are leading manufacturer and supplier of Metal Wall Clock. 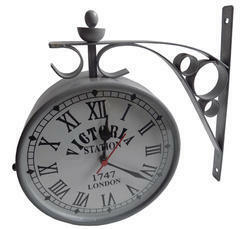 Metal clock with dual time track "Victoria Clock"
A metal wall clock gives a perfect look.